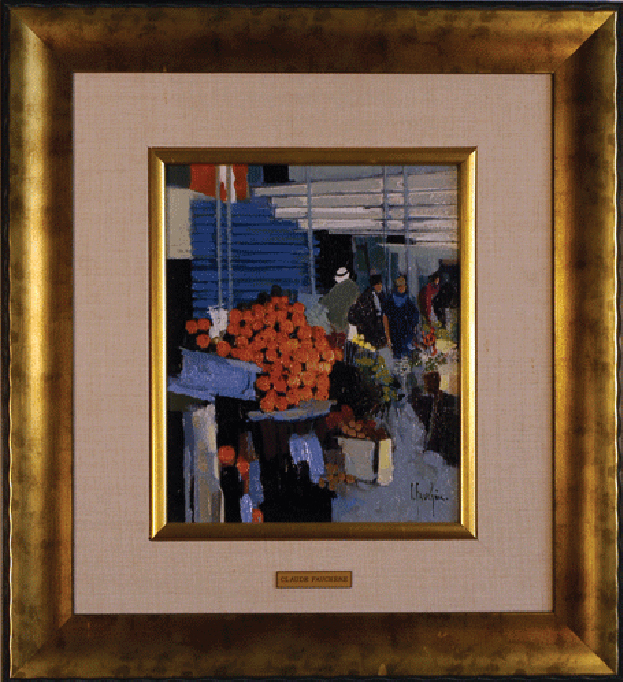 Among the most celebrated of French artists, Claude Fauchere is considered a living, national artistic treasure to experts and the public alike. Born in Paris in 1936, he incorporates bold, vivid colors that contrast with soft and tender hues, empty spaces that contrast with minutely detailed spaces, and dynamic brush strokes that contrast with his precise and delicate touches. These contrasts create a rhythm which animates the painting, transforming landscapes and street scenes into sequences of hermonious spaces where color is pure light. Fauchere has a number a distinguished awards in France, including the Gold and Silver Medals of French artists, the Medal of the General Counsel of Seine-Saint-Denis, and the Medal of the City of Paris. Art critics, dealers, and experts on every continent share a unanimous opinion, Claude Fauchere is one of the world's most important contemporary artists. Limited seriographs of this piece are being sold in galleries internationally.